Would you recommend Teleparty to a friend? @abramdawson introduced this to me a few months ago when it was named Houseparty, a very appropriate metaphor for this app. My favorite part is the ability for your friends to introduce you to other people by pulling them into the live video conversation. @aakashsastry currently you're very focused on this engaging communication experience but do you see Teleparty offering more of a consumption, viewing platform later on? What does Teleparty look like 1-2 years from now? Just telepartied (is that what we're calling it?) 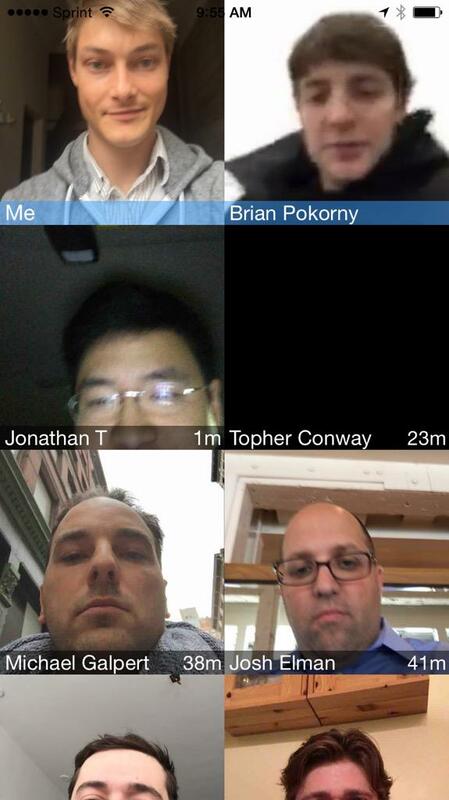 with @brianp: Teleparty is really designed to be used with 3-4 friends at once. The moment they introduce one of their friends (someone you don't know), is when you'll hit that "aha!" moment. Also, fun fact: it updates your "profile pic" with a screenshot of your face the moment the app was last closed. @brianp @rrhoover Looks Awesome! downloading now! good job! @brianp @rrhoover ahh just crashed, too much traffic! Trying to get back up edit: we're back! Hi! Teleparty is a fast and fun way to see your friends live. Just open the app at the same time and you’ll see each other instantly! Simply tap someone to start talking. We’re really excited about the future of synchronous interaction on the internet and are having a lot of fun building it. We’d love to hear your thoughts! PS: Tweet @telepartyapp or email hi@teleparty.cool for support!